Mono Line Rating (lbs) 30-50 lb. 40-60 lb. This line of rods is truly "The Best of the Best". The combination of graphite and S-Glass create a composite material that is superior to any saltwater rod on the market today. The properties of S-Glass boast 40% increased tensile strength and 20% higher modulus than standard E-Glass. Coupled with the lightweight but stiff graphite, each Super Seeker composite blank is built to shut off at just the right spot to give the angler maximum lifting power. 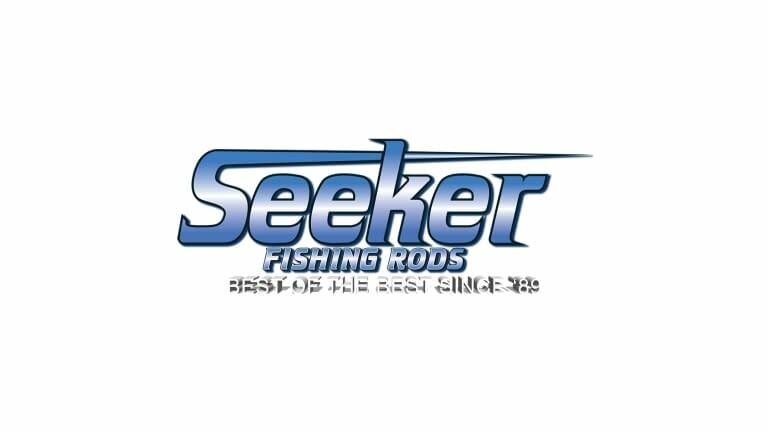 Super Seekers are built with Fuji TiChrome SIC guides, hypalon grips, and aluminum reel seats.